Although we love it, but sometimes the interesting and unique jewelry pieces listed on Etsy are questionable in their nature and appearance. To save you time and energy from disliking the website, we have today compiled a list of 10 unique jewelry designs that are equally quirky and umm… we mean cool and beautiful. 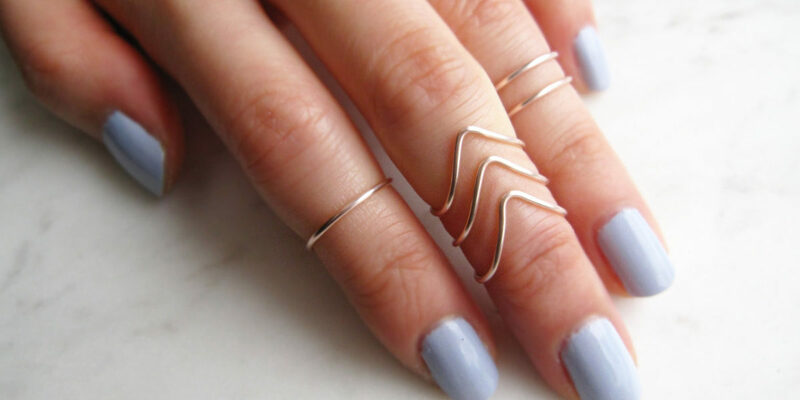 Minimal and simple, the set of 6 knuckle wire rings is made from silver plated rose gold colored wire. With a sleek appearance and a smooth finish, the rings will work well with every outfit without being too overbearing on the hand. This statement gold plated ear cuffs are best to add on to the Bohemian inspired jewelry collection. 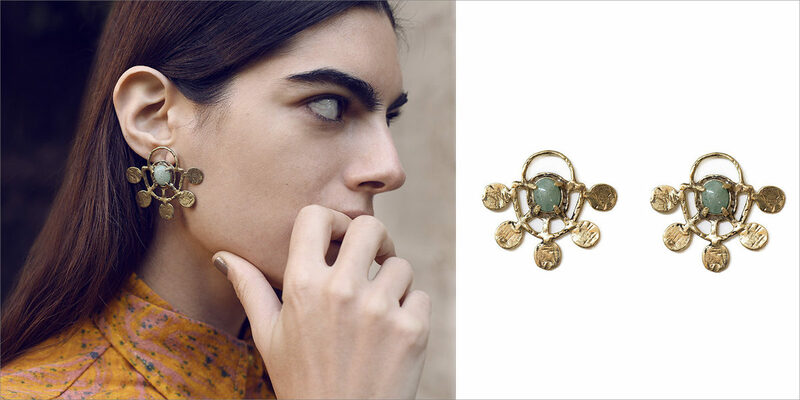 Try and pair the ear cuffs with headband and bracelet for a complete Boho look. In the vibrant and stunning turquoise and copper color, the glass beads along with the strands of 14k chain make the look of the earrings decorative and minimal. 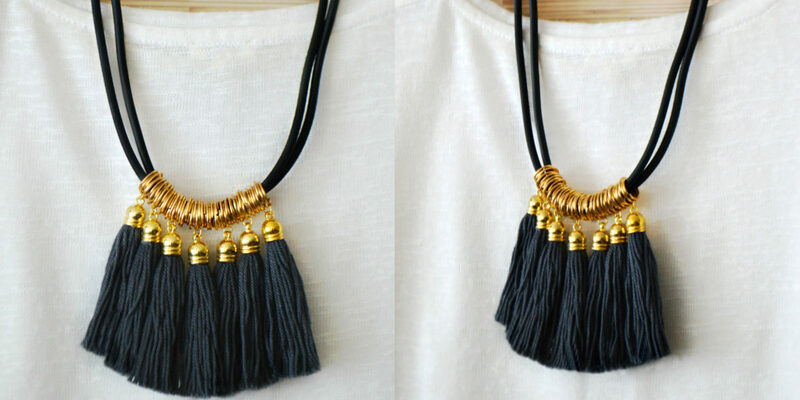 With the raving tassel trend, this could be one sophisticated and colourful addition to your collection. Extending on the tassel trend, this grey fringe necklace is a perfect statement piece to add texture and colour to a neutral outfit. Made from the handcrafted fringe and rubberized tubing the gold hardware gives a complete glam makeover to the solid colored necklace. Barbara Romankiewicz’s Austria-based Etsy boutique is equally affordable and innovative. This hand-painted, wooden geometric bead jewelry features a color block and a luxurious feel. With varied color options, the necklace is a must have daily wear accessory. The evil eye earrings are made from silver and are coated in 14-karat gold, so they won’t irritate your ear if you are allergic to artificial jewelry. The detailing takes the look of the earrings a step ahead of the regular studs you have in your collection. 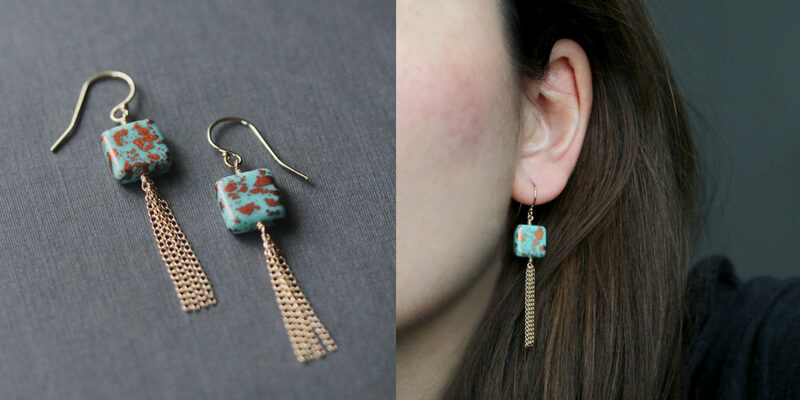 Unique and minimal, the earrings are versatile and can be paired with multiple outfits. 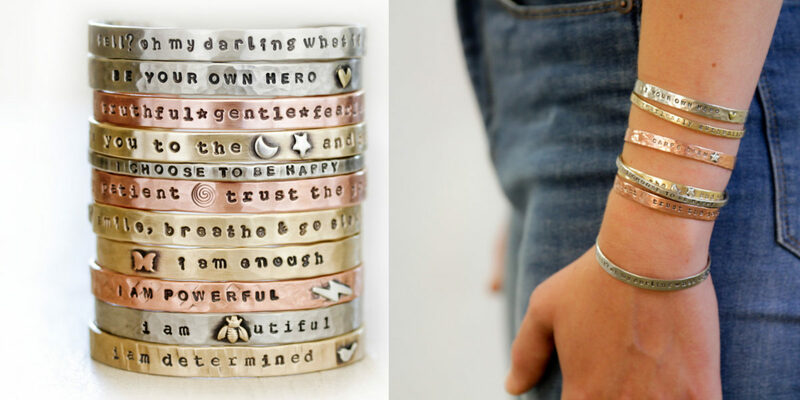 Inspiring and beautiful, the power phrase cuffs are handcrafted in high quality. Made from silver, copper and brass, the cuffs are durable and even convey a strong message whilst you wear them. 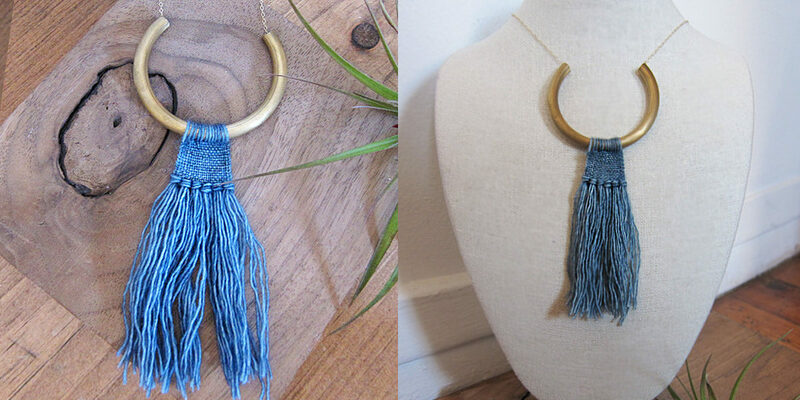 This chunky necklace is woven from soft merino wool and is matched with a brass tube for an industrial touch. The alternating texture and color make the necklace a must have for the coming chilly season. Pair the necklace with a knit sweater and you will be styled and accessorized. 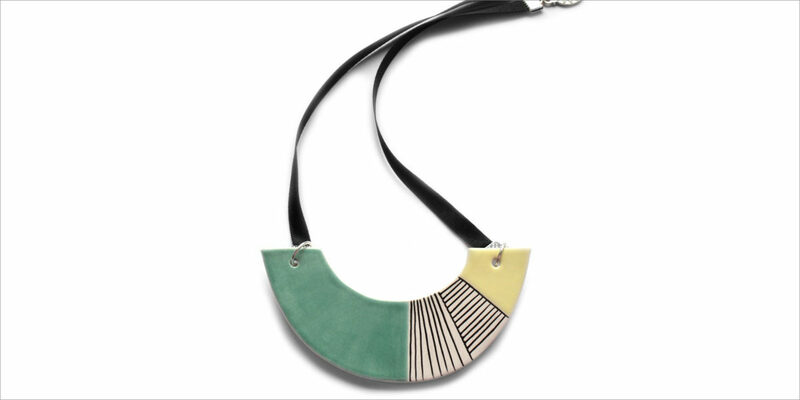 Handcut and bright, the ceramic geometric shaped necklace is a beautiful piece to add to the everyday wearable collection. The necklace can easily turn around the look of casual wear into something more vibrant and unique. These statement earrings take inspiration from nature. Available in brass, white bronze and sterling silver, the seller holds three options for the stone (turquoise howlite, aventurine and tigers eye). Pick your favorite pair of jewelry and bring your style in with quirk and elegance.